The Cosytoes 10.02m2 electric underfloor heating Softmat is ideal for bathrooms, wetrooms and kitchens. Designed for use with laminate and manufactured wood flooring, this electric underfloor heating mat quickly creates a warm and toasty floor thanks to its impressive 4776 BTU heat output. 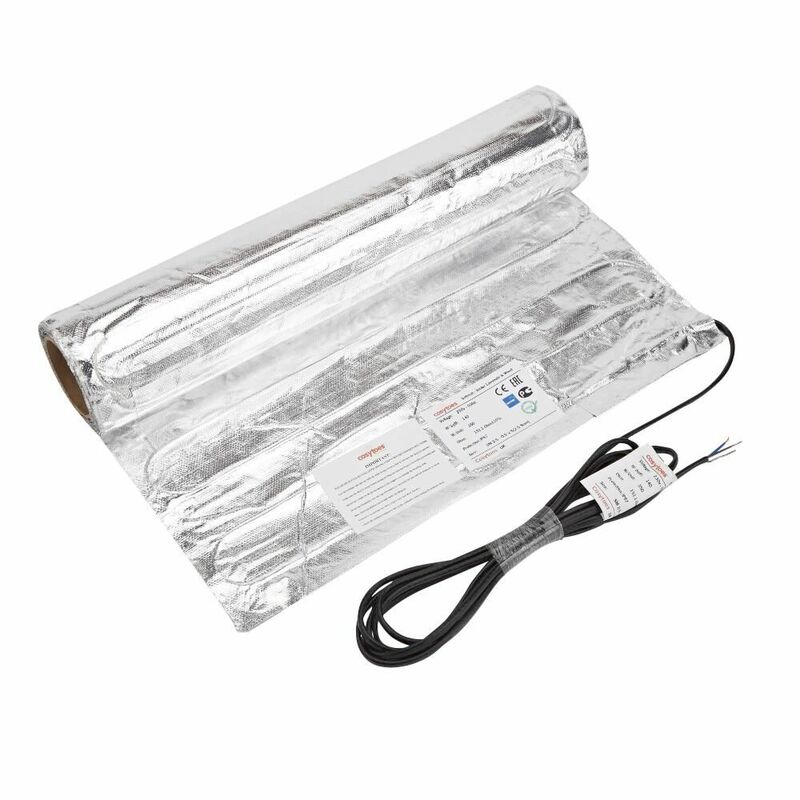 The Softmat features a foil heat exchanger to ensure an even distribution of heat through the floor surface. 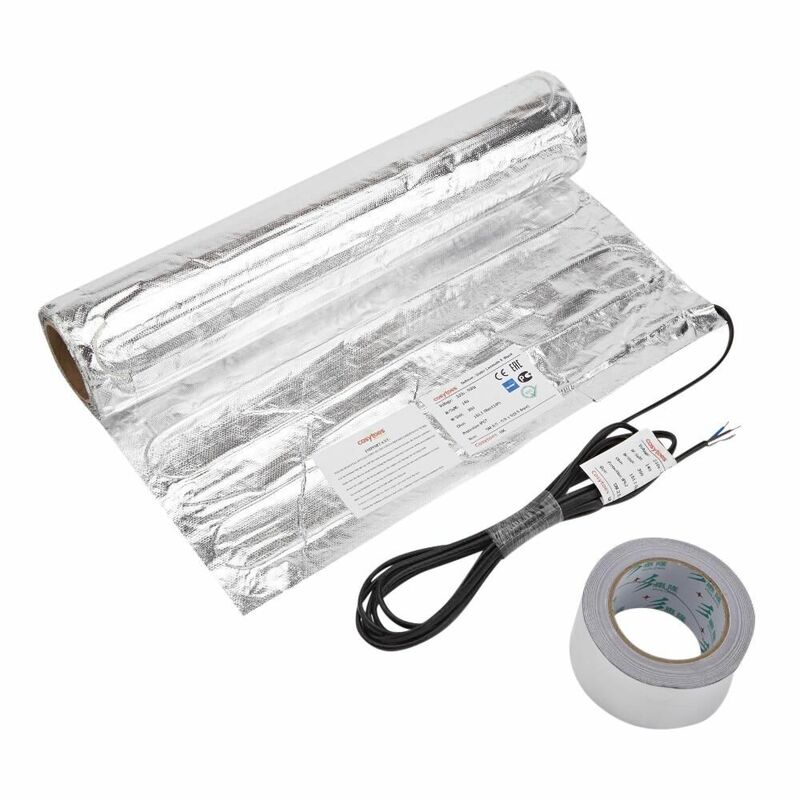 The electric heating mat incorporates thin heating cables that are laminated to the underside of the foil heat exchanger. 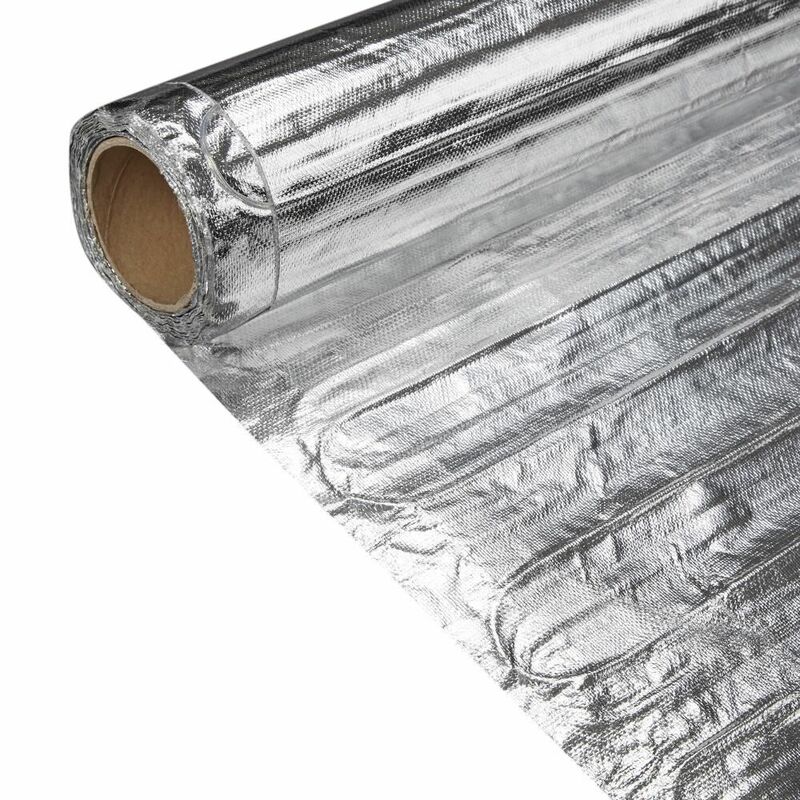 This cable beds into the 6mm Depron foam Softmat underlay (not supplied). The flooring is then laid over the top of the Softmat, and the heat exchanger distributes the heat over the floor area.